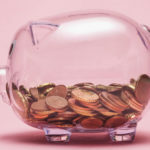 In the Winter 2019 issue of Spin Off, Miriam Felton shares how she faced an all too common spinners dilemma: how to jumpstart a stalled project. As Miriam shows, even if the handspun yarn has lingered in “time out” for years, it is not too late to reimagine it into a favorite project. 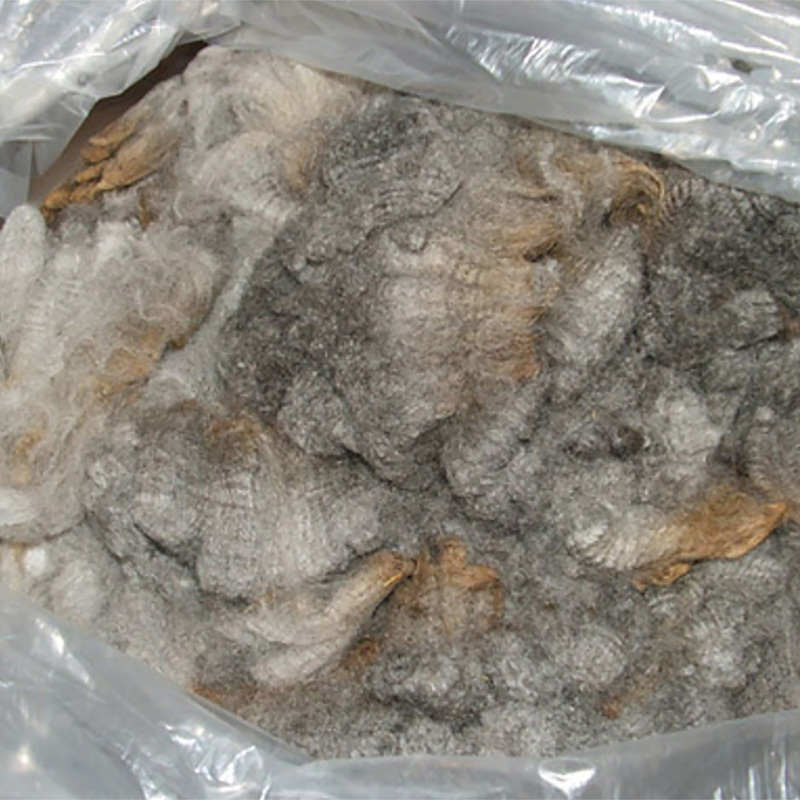 Miriam purchased a fleece from Gleason’s Fine Woolies, which was a gorgeous naturally heathered gray with brown sun-bleached tips from a Corriedale ewe named Isabo, at the Estes Park Wool Market in 2006. Unfortunately, the handspun yarn made from the fleece lingered in time out for 6 years. The yarn sat finished, and occasionally I pulled it out to pet it. A solid 6 years went by while life intervened. I was busy producing large numbers of knitting patterns, self-publishing my book Twist & Knit (affiliate link) with all the spinning required for it, and in 2013, I committed to not buying any new clothing for a year—my only new clothing would be handmade. Also in 2013, I started my #YearOfMaking, where I posted a photo of something I had made every day for three years. Among these projects and all this making, I came to an important realization about my style and my clothing: every act of making something yourself is radical. In a consumerist, disposable society, the act of slowing down to make something exactly the way you want it is rebellious. One of the biggest realizations for me was that the act itself has value, not just the finished object. In these years, I learned to be less precious with my making and clothes. I have accepted that mistakes happen and if I don’t like it, it’s okay to rip it apart and rework it into something that I love or that fits with my ever-evolving tastes. 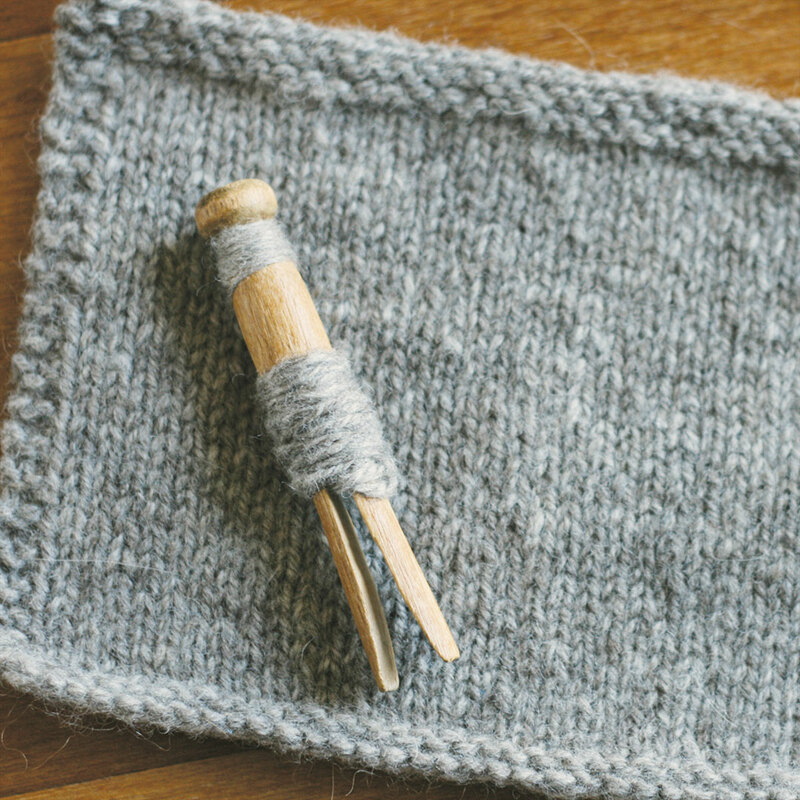 Miriam’s Percentage Sweater began with a swatch and some gauge measurements. With this in mind, I made a plan for how I wanted my sweater to proceed. I knew I wanted more color in my life, and putting my energy where my heart is would never lead me wrong. In 2015, I pulled out the unspun roving that was left over and sent it to Brooke Sinnes, owner of Sincere Sheep in the Napa Valley in Northern California. My instructions to Brooke were simple: “Give me some color!” Brooke’s natural-dye processes have fascinated me since I first saw her yarns in 2014. When I decided I needed color for the Isabo sweater, I wanted to see how her colors would look overdyed on the natural gray heather. 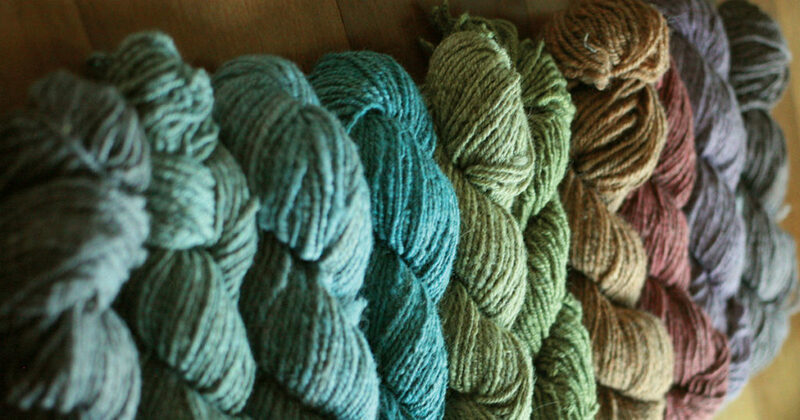 And with the magic of natural dyes, I knew I was likely to get a set of colors that all played well together. Miriam had her sweater finished in time for the New York Sheep and Wool Festival. What I got back from Brooke was overwhelming! She sent me a full rainbow of naturally dyed shades that took my breath away. The subtle variations she got were totally swoon-worthy. Miriam Felton began knitting as a teenager as a natural next step from sewing, crochet, and needlepoint. She’s been designing and publishing patterns since 2005, including her first book, Twist & Knit. Her current love is combining all crafting (using the hashtag #CrossCraftual) and podcasting at YarnStories Podcast. She lives in Salt Lake City, Utah, with her partner and two cats. 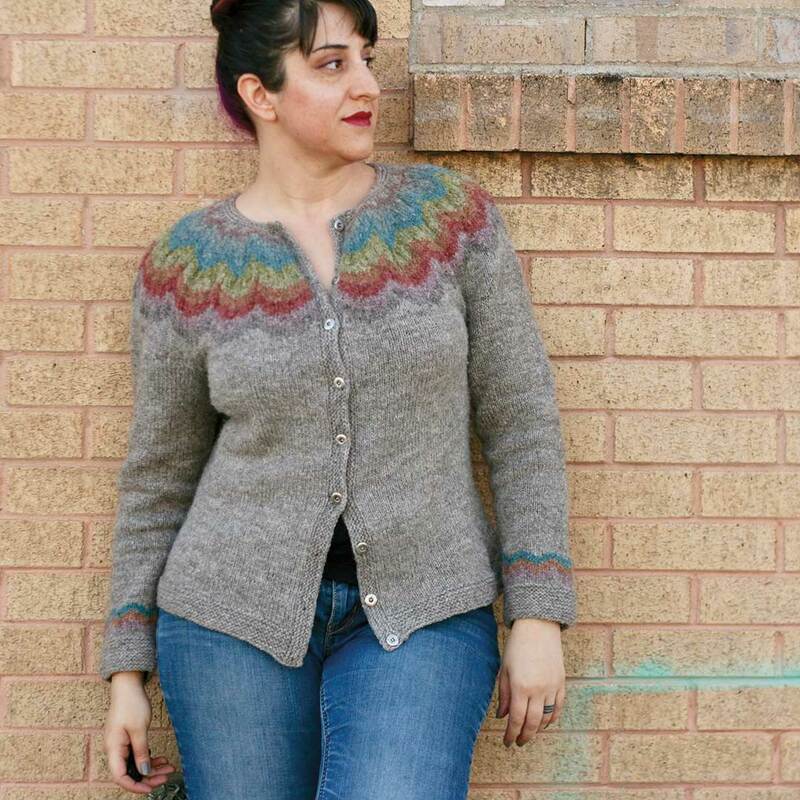 To read the rest of Miriam Felton’s article, “A Sweater Ten Years in the Making,” download the Winter 2019 issue of Spin Off. Make something special for yourself!